Party planning can be made easier when you use Staten Island party rentals companies to provide all the things you need from tables and chairs to linens and decorations. The many party rentals Staten Island companies can offer are listed here in this easy to use guide. This is your one-stop guide to tent rentals Staten Island. 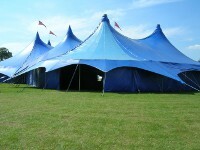 For the top Staten Island tent rentals look no further than FunNewYork.com where we give you this easy to use directory!